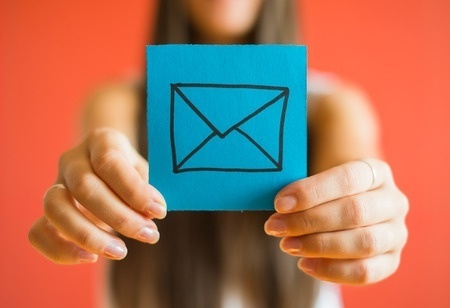 How many times do you write an email to a prospect and get no response? How often do you think, "My product makes so much sense for this prospect that if they only agreed to have a conversation, we'd be doing business." Here's a recent real-life example from my work with a client that I believe will give you insights and tools to dramatically increase the likelihood of getting an actual response. The target for this email could be on your top 50 prospect list or it could even be an existing transactional customer who hasn’t been farmed in a few years, as was the case in this example from just two weeks ago, though the lessons are widely applicable. In particular, this kind of email is useful when you believe it is squarely in your prospect's best interest to have a conversation with you. We often work and re-work those emails, sending them off into the darkness, and listening for a response, hearing nothing but crickets. We’re about to increase your odds of success. Read on. One of my sales reps is working on sending an existing customer an email to try to get a meeting to get reconnected. We’ve been doing business with some of their properties for years without fuss, but we know they have a lot more and there has always been reluctance from this gentleman to work with us or even see our value. He inherited our services when he took over the role he's in and he's always been skeptical. The old business is essentially just hanging on and frankly, we're a little afraid of calling attention to it. We have not had a business review with this client for many years nor any communication. My rep’s initial attempt at an email to this guy was lengthy and provided a lot of information - probably too much. Thinking about what she learned in the training sessions, she shortened it to the note you will see below, which is much better, in my view, but still doesn’t seem quite right. Didn’t know if we could review it this morning in our regular coaching call. How is she positioning her company? What's the message she's sending about herself? What could make this email more effective? Is the prospect likely to read the whole thing? We will never know the answer to these questions because she never sent the email. Phew! But we can draw from our experience, make some educated guesses, and suggest changes that might increase the chances of a favorable outcome. Whether you're a salesperson, business development expert, or a sales manager, what edits would you suggest? “Dear Mr. Janson” – Let's start there. That kind of salutation works better for some but not all members of a certain age bracket and I recently read an article about email etiquette in the Middle East and it recommended starting off that same way. However, it’s usually better to position yourself as a peer. So let’s use “Hi Frank,” or “Dear Frank,” or simply, “Frank,” your choice. If you disagree with this and want to keep it formal, then continue doing it the other way, especially if it’s helping you engage better, differentiate yourself, develop rapport, and position yourself as an advisor at their level whom they can trust. “Hope you are doing well today?” – The body of the letter starts with this. It usually means, “Warning, this is a sales letter so you can stop reading now.” If you wouldn’t kick off an email to your best friend that way, don’t do it here either. Oh, you mean Frank Janson isn’t your best friend? Fine. Pretend he is, and he just might become one. “We work with management companies to help them…” – This is pretty good, but I’d rather use “I,” for starters because in sales today, and particularly when there is product parity, the best differentiator is often you. And the phrase “work with…companies” removes you too much from the specific people you help so perhaps you might dive right into “I help managers…” I love the whole rest of that sentence. “I would like the opportunity to come and meet you…” – Wait a minute. Whose opportunity is this? So what you're saying is, “Please, oh mighty prospect, grant me your time for my personal opportunity, and while it’s possible there might be something in it for you too, at least you know that I have myself in mind from the outset.” The only opportunity here is a chance for your prospect to receive much-needed help. Don’t make it about you. I’m sorry we haven’t contacted you in some time, even though we are already representing some of your properties. I wanted to reach out and introduce myself, to set up some time to understand your needs better and see if and how I can help. Please let me know what might work or suggest another date and time. There are other methods we could have used and other approaches to this particular challenge including picking up and dialing the phone. And Jill surely had that on her tactical roadmap, but as everyone in the trenches knows, calling prospects on the phone is an increasingly frustrating method for making initial contact. I once cold-called a CSO of a Fortune 1000 company with whom I had never spoken. To my amazement, he answered the phone. However, before he’d even let me tell him why I called, he said, “I answered the phone because I happened to be expecting a call from someone with your area code, so can you call back another time?” Hey folks, this doesn’t only happen to you. OMG! I got a reply within an hour of reaching out. I’ll forward it to you! Holy Crap – he even tells me some of the issues they have…. Position yourself as a peer on their level. Don't talk about your stuff as it gives them a reason not to respond. Make the purpose about helping them if they need it. Your time is a scarce resource. Narrow the choices. Remember it's their opportunity, not yours. If you took something valuable from this article, please leave a comment. I’d love to hear from you. For those interested, a few times a year, we host an open-enrollment live online training series for individual salespeople in a group environment who are trying to improve their game and master the most effective and easiest to learn sales process ever. The next session can be found by clicking here.